It’s summer and its hot! The oven may be the last thing you want to turn on. So what can you make that’s cool, refreshing, healthy and ready in a snap? 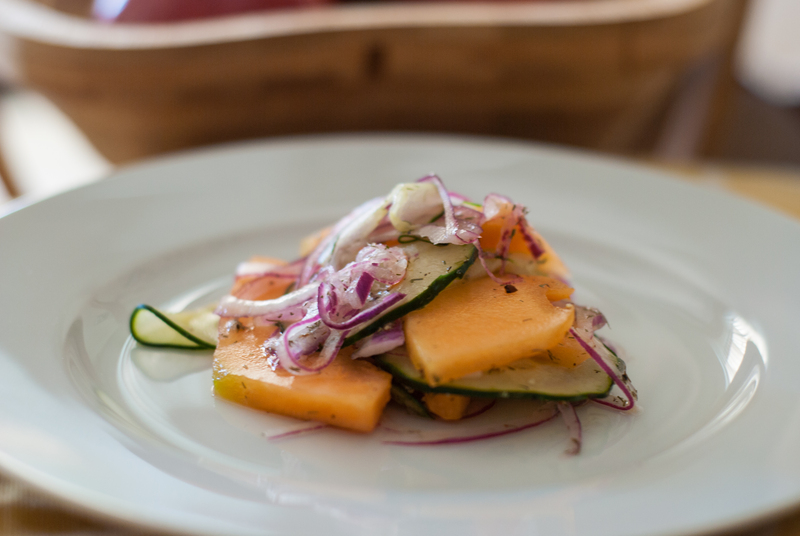 Easy: Cantaloupe and Cucumber salad! Ready in minutes and can hold for a couple of days in your refrigerator. This salad is perfect for picnics and pool parties. Plus, you can easily transition this salad into a fancy brunch dish with the addition of lox and bagels. Thinly slice your cantaloupe into 1/4″ slices. Using a mandoline, shave thin slices of cucumber and the red onion. Toss the cucumber, cantaloupe, onion and remaining ingredients in a bowl and cover with plastic wrap. Place in refrigerator for 30 minutes then serve. 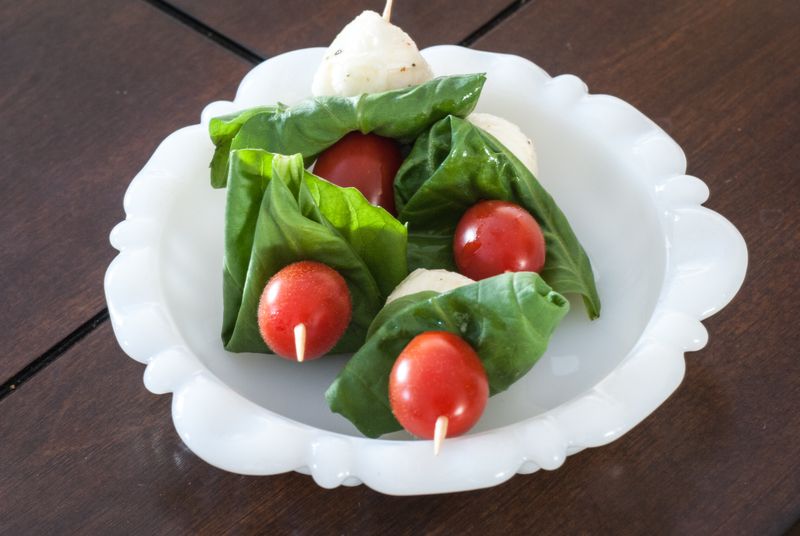 Have on hand: fresh basil leaves, cherry tomatoes and marinated mozzarella. Thread each item alternating in between onto a toothpick. No seasoning required thanks to the marinating oil from your mozzarella. See simple!